This plasma globe wasn’t working properly, I was wondering why. 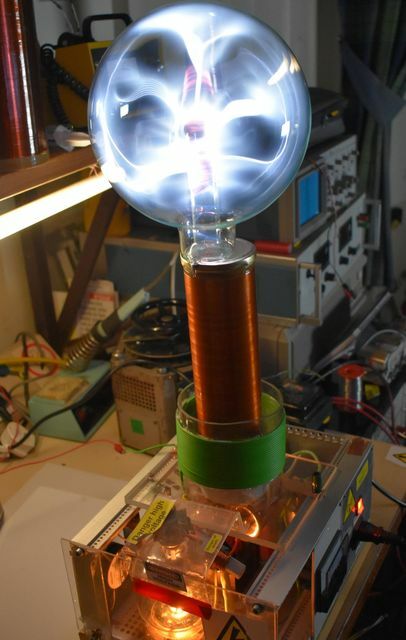 It is sitting on the secondary coil of a Vacuum Tube Tesla Coil. Looking at it I think it may have had some air leak in. It is being over driven here and gets hot quite quickly.